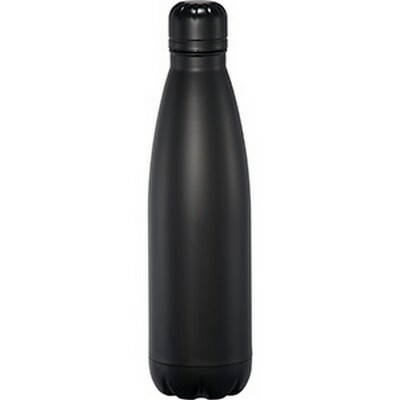 Description: This bottle is double wall 18/8 grade stainless steel with vacuum insulation. Inner wall is plated with copper for ultimate conductivity to keep drinks hot for 12 hours and cold for 48 hours. 760ml capacity. Available in 2 colours. Features: Packaging: Bubblebag Colour: Black Material: 18/8 Grade Stainless Steel Product Size: 302mm(h) x 80mm ? Freight details : 24 per carton, 10.1kgs, 53 x 35 x 34cms; Decoration Type(s): Colour Print / Full Colour Print / Laser Engrave Decoration Area: Print: 45mm x 45mm; Laser: 35mm(w) x 45mm(h) or 20mm(w) x 80mm(h). Price includes : 1 Colour 1 Position Print. Setup is included.